(AFP) - A hunk of suspected aircraft wreckage found off the east African coast will be sent to Australia where experts will examine whether it is a new piece in the puzzle of missing flight MH370, officials said Thursday. The fragment was reportedly found near Mozambique and could provide clues in the huge and costly Australia-led investigation into what happened to the ill-fated Malaysia Airlines flight that disappeared nearly two years ago. 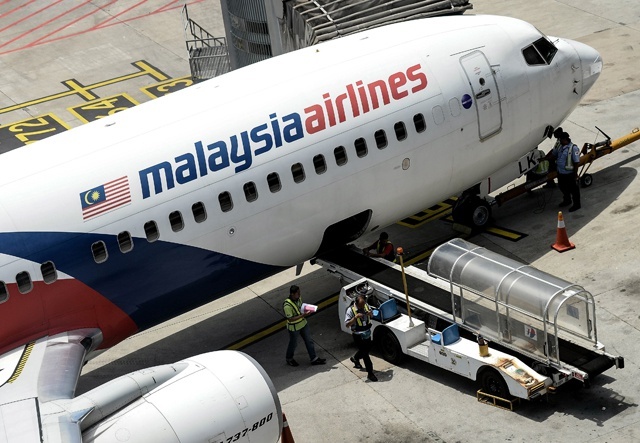 Malaysian Transport Minister Liow Tiong Lai said late Wednesday that initial information indicated a "high possibility" it came from a Boeing 777, the same model as MH370. MH370 mysteriously vanished on March 8, 2014 on an overnight flight from Kuala Lumpur to Beijing with 239 passengers and crew on board. Australian Transport Minister Darren Chester said the debris was approximately one metre (three feet) long. "The debris is to be transferred to Australia where it will be examined by officials from Australia and Malaysia, as well as international specialists," he said in a statement. Chester said the location of the find was consistent with where ocean currents could have deposited MH370 wreckage. The MH370 saga has been marked by a history of false leads since it went missing, and Liow cautioned against "undue speculation" until experts can study the object. Last July, a wing fragment was found washed ashore on the Indian Ocean island of Reunion, which experts later determined came from MH370, the only confirmed evidence of the plane's fate so far. Analysts believe MH370 veered far off course to somewhere in the far-southern Indian Ocean, where it went down. The news of the unconfirmed finding comes just days ahead of the disaster's two-year anniversary. Australian officials told AFP it was not yet clear when the debris would arrive there. They said Boeing experts would be among those examining it. US television network NBC, which first reported the new debris, said it was found by an American man who blogs extensively on MH370. NBC cited experts as saying the debris could be a horizontal stabiliser, which is a tail part. A Mozambican official said the fragment was handed over to authorities by blogger Blaine Gibson, who reported finding it earlier this week. MH370's disappearance remains one of the greatest mysteries in aviation history. Theories of what happened include a hijacking, rogue pilot action, or sudden mechanical problem that incapacitated the crew, but there is no evidence yet to support any one theory. The Australia-led oceanic search is expected to finish scouring a designated deep-sea area for a crash site by mid-year and will cease if nothing is found. But Voice370, an international next-of-kin network, issued an emotional appeal Thursday for the search to continue indefinitely. "We believe that they should not throw in the towel, close this case and simply chalk it up as an unsolvable mystery," the group said in a statement. They said the search should press on for the sake of distressed relatives and in hopes that solving the mystery can help "make aviation safer", according to the statement. Many next-of-kin accuse the airline and Malaysian government of letting the plane slip away through a bungled response, and of wanting to end the search so the truth about what happened remains hidden. The airline and government strongly deny the accusations. Families have begun filing a slew of lawsuits in several countries over the disaster ahead of next week's two-year anniversary, which is also the deadline for launching legal action against Malaysia Airlines.